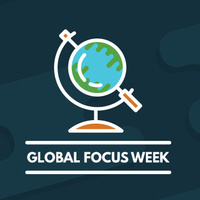 Global Focus Week (GFW) is a semi-annual event aimed at raising global awareness among Liberty University students, faculty, and staff. Throughout GFW, students will have the opportunity to hear from globally influential Convocation guests, connect with global workers, experience a variety of cultures, and participate in interactive events. Please see the link below for the full schedule of the week.